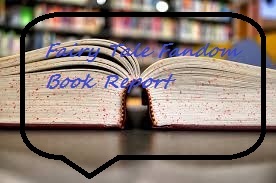 Fairy Tale Fandom: Fairy Tale Fandom Book Report: The Ugly Stepsister. Fairy Tale Fandom Book Report: The Ugly Stepsister. 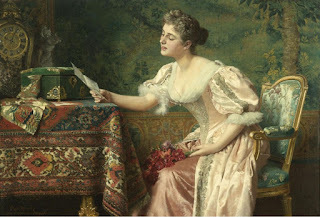 One of the interesting things about starting this blog is that sometimes people will contact me asking me to read things that they have written. Such was the case with a woman named Aya Ling and the book she wrote The Ugly Stepsister. I had never heard of her before and at first thought she was a first time author. However, it looks like she’s written a few different books. That’s one of the issues of being a self-published author, though. They don’t have the marketing power of a major publishing house behind them. 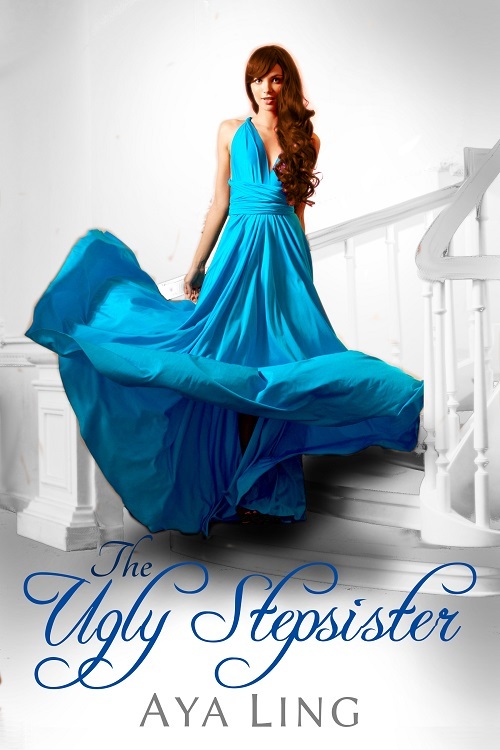 The Ugly Stepsister is a YA “Cinderella” retelling. The story focuses on a girl named Kat who’s not short on book smarts but is short on confidence. Just at the beginning of the book she gets so flustered she gives the cute new transfer student directions to class that are in the completely wrong direction. When she gets home her mother tells her to sort out some books that she wants to get rid of. As she’s doing this she damages an old storybook of “Cinderella” which sends her into the world of the book. She finds herself in a highly Victorian country called Athelia where she’s thrust into the role of Katriona Bradshaw, one of Cinderella’s stepsisters. Only Cinderella isn’t her stepsister, or at least doesn’t think she is. The other “ugly stepsister”, Bianca Bradshaw, isn’t ugly at all but a ravishing knockout. And Athelia’s prince, Prince Edward, doesn’t care for meeting the other gentry or fancy social functions like royal balls. She’s told by a goblin named Krev that she has to guide the story to a happy ending, but she has her work cut out for her. As far as novels go, The Ugly Stepsister isn’t bad. It’s pretty good but not quite great. It moves at a nice steady clip and there are no glaring plot holes to fall into. However, the issue really becomes more a matter of how much you want this story to be what it bills itself as. For you see, as a Cinderella story there isn’t much of a Cinderella story. Oh, it’s in there but it’s diffused throughout the book and certain elements are highly changed. 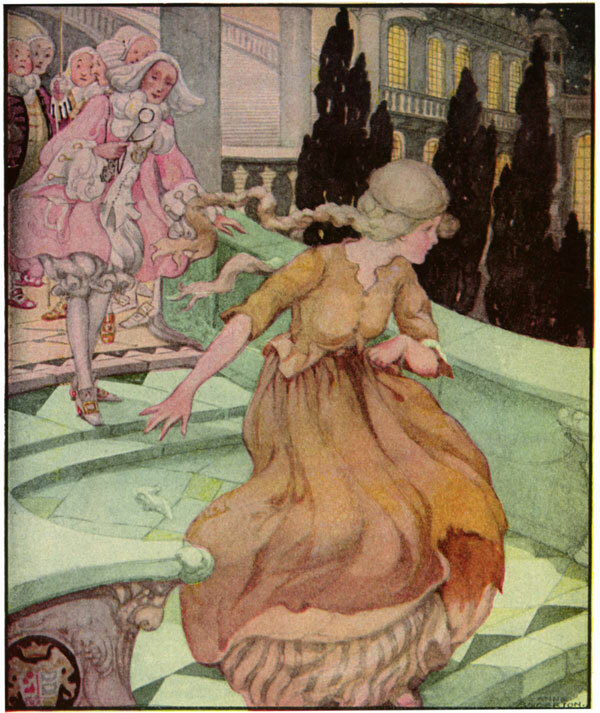 The story of Cinderella or Elle as she’s called in the book actually has less to do with getting out from under her stepmother and to the royal ball and more to do with the crippling poverty of her adoptive family. There are still the magical elements like the Fairy Godmother, but they’re used very sparingly. So, as a Cinderella story it’s really not great. The real focus of the book is on Kat, a modern day girl, dropped into a very upper crust Victorian society. This is a good thing, seeing as that’s where the book seems to shine most and where the book seems to have the most to say. Ling seems to have quite a lot of fun showing Kat’s modern sensibilities clashing with the world of Victorian propriety (one sometimes wonders if it would have made more sense for Kat to have been transported into the world of a Jane Austen novel than into “Cinderella”). My only other major issue is with the character of Krev. Krev is a goblin. The goblins are the ones who created the Cinderella book that Kat damaged. Though Krev is useful at times, his main purpose seems to be to show up and mock Kat’s failure to move the story along and to give Kat a boatload of exposition about where she is and what she needs to do. It’s the exposition I have the most trouble with. While I understand that some of it was useful, it would have been nice if Kat had figured out some of this stuff for herself. Perhaps recognizing the world of the book before having Krev pop up to tell her what she has to do. Now, if you don’t want to encounter some serious spoilers, you may want to skip the next paragraph. I suppose I should also say something about the romance between the Prince and Kat, because there is one. It seems a bit cliché that Kat would naturally fall for the handsome prince in this situation. However, I’m not sure of others’ reaction. Would this be seen as cliché or archetype, especially for Ms. Ling’s target audience which I’m sure consists mostly of young girls? So, The Ugly Stepsister may not exactly be the kind of “Cinderella” retelling you’re looking for. However, if you’re interested in a decent sort of A Connecticut Yankee in King Arthur’s Court kind of story about a modern girl in Victorian times, then it might be the book for you.